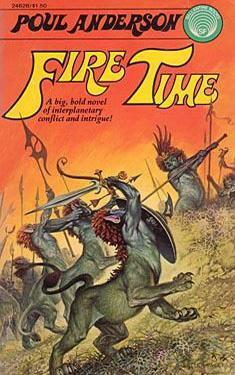 If you liked Fire Time you might like these books. Anu, red giant companion-star to Bel and Ea, was relentlessly approaching Ishtar-scorching the land, forcing the barbarians of the North ever southward away from the inferno. Fire Time was fast confronting the planet; civil war broke out as the Tassui led their forces against the army of the Gathering in a desperate struggle for survival.